Interested in attending the March for Life? Want more information? Contact the Parish Office for more information at 260-665-2259. 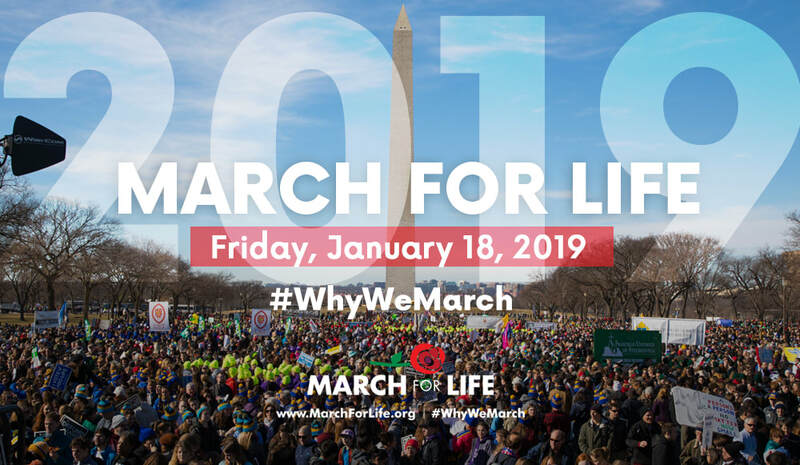 SPONSORED MARCH FOR LIFE, WASHINGTON, D.C.
St. Anthony's Catholic Church and our Knights of Columbus Council #7053 is sponsoring their 10th trip to Washington D.C. for the 2019 National March for Life! Departing Wednesday, January 16th around 11:00am and returning Saturday, January 19th around 8:00pm. "Every child deserves to be born. Every child deserves to have a voice." A world where every human life is valued and protected. The mission of the March for Life is to provide all Americans with a place to testify to the beauty of life and the dignity of each human person. Both in January, on the anniversary of legalized abortion in the US, and throughout the year we bring together pro-life leaders and groups to organize, unite and strategize around a common message, and to communicate this message to the government, the media and the nation in a way that is powerful and life affirming. January 22, 1973 is ingrained in the minds of pro-lifers because on that infamous historic day the Supreme Court invalidated 50 state laws and made abortion legal and available on demand throughout the United States in the now-infamous decisions in Roe v Wade and Doe v Bolton. At the 40th anniversary of the Roe v. Wade decision, we mourned the death in 2012 of Nellie Gray, the founder of the March for Life and the “Joan of Arc” of the pro-life movement. In October 1973, months after the Roe and Doe decisions, a group of thirty pro-life leaders gathered in Nellie’s home in Washington, D.C. to discuss how to commemorate the one-year anniversary of Roe. There was a fear that January 22 would pass as any other day rather than allow for a moment to reflect upon how legalized abortion had hurt women and taken babies’ lives over the course of the year. 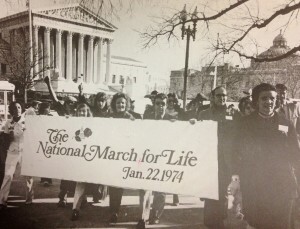 That was the day that plans for the first March for Life began.